Indian Mountain Road Farm or is it...? farm with towers, originally uploaded by jahansell. 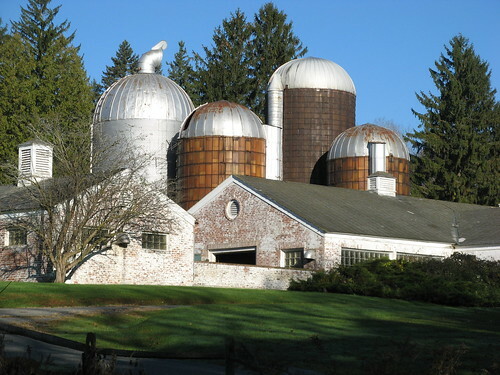 Doesn't this farm remind you, just a little, of one of those Eastern European churches with the onion domes? Well it's a classic New England Farm, then! One of your all-time best photos -- stunning! !